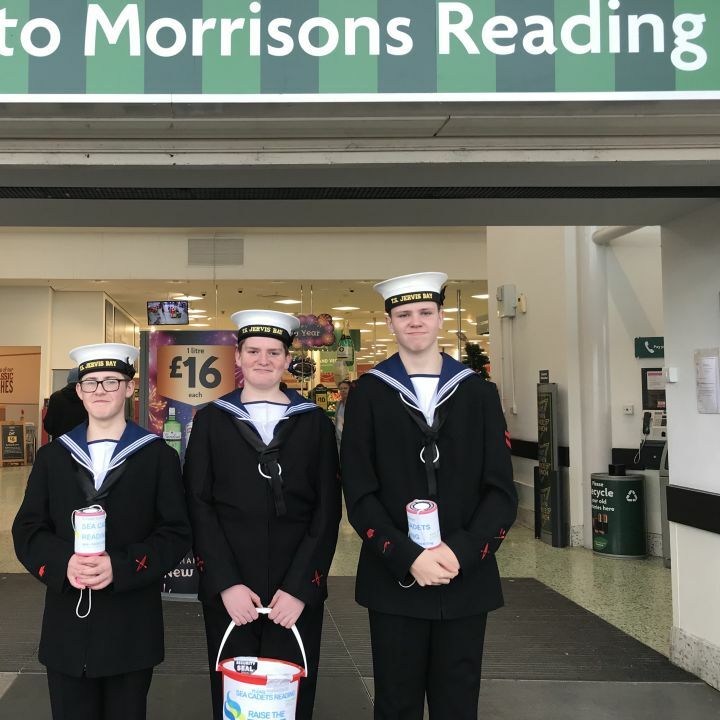 A very big thank you to shoppers at Morrisons, Reading who gave so generously to us – we raised an amazing £746 over the weekend! The money will be used to buy additional boats. Huge thanks also to our cadets who helped: Gordon, Oliwier, Callum, Sarah, Peter, Maria, Kacper, Freddie and Zac. We can’t wait for boating season to start! TS Jervis Bay is officially open! TS Jervis Bay is officially open and Reading Sea Cadets are delighted to be back in their unit at long last. 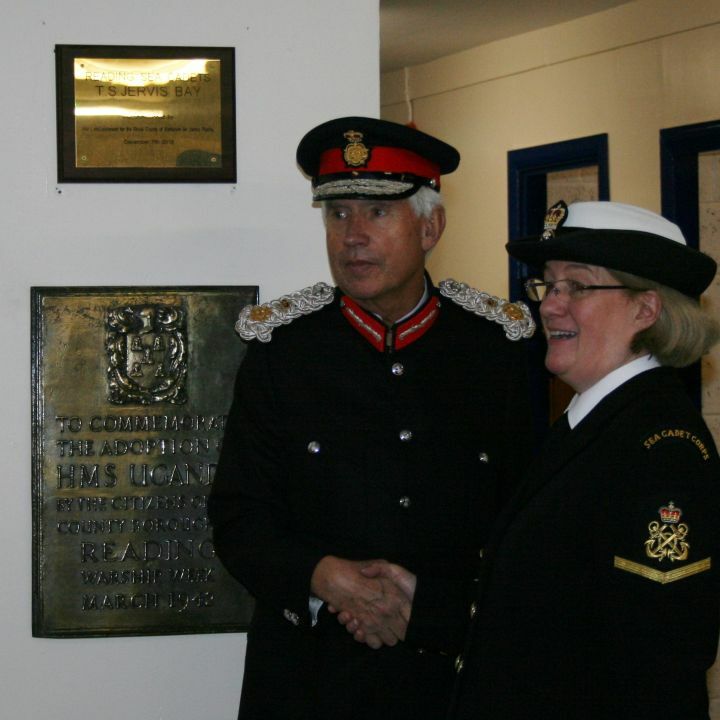 Thank you to HM Lord-Lieutenant of the Royal County of Berkshire Mr James Puxley for conducting the formal re-commissioning and to The Mayor of Reading Cllr Debs Edwards and Reading West MP Alok Sharma for inspecting the unit and to Area Officer Commander Trevor Price for prize-giving. A very big thank you also to all staff, members of the Unit Management Team, supporters, parents, and last but not least, our fabulous cadets for making it such a terrific evening. TS Jervis Bay training facility was closed in May 2014 due to unsafe roof conditions and for the next four years we used temporary accommodation in the gym at Brock Barracks. After obtaining approval to fix the roof via our landlord, we started fundraising - raising £86,000 in a year! The roof was duly fixed and we moved back into TS Jervis Bay on 1 September 2018. 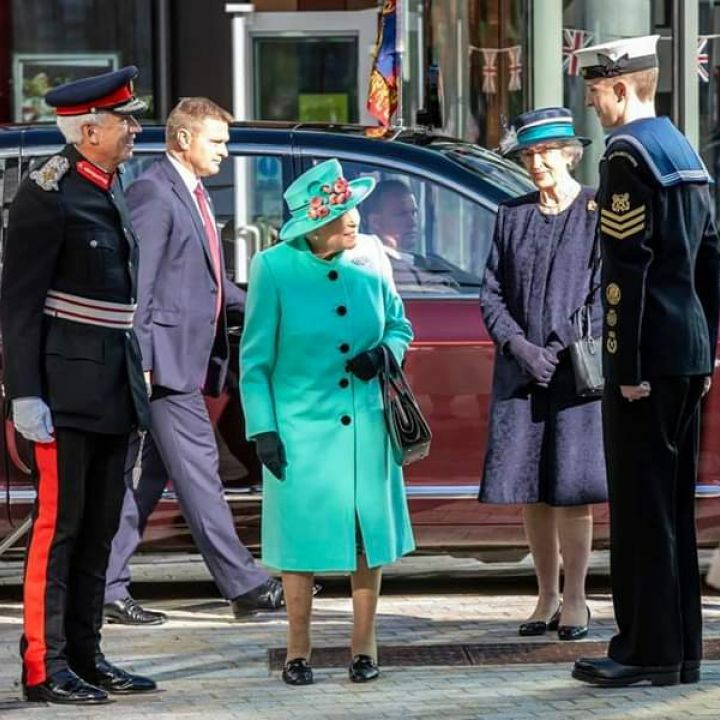 We’re all immensely proud of POC Peter who accompanied the Lord-Lieutenant of Berkshire Mr James Puxley as he escorted Her Majesty the Queen on her tour of The Lexicon, Bracknell. This was Peter’s first engagement since his recent inauguration as one of The Lord Lieutenant’s cadets for Berkshire District. He is one of four cadets who will accompany Mr Puxley during events in the coming year. Peter is offshore at the moment, so we haven’t been able to ask him what Her Majesty said to him – we look forward to finding out on his return! We will be welcoming Mr Puxley as our guest of honour at our recommissioning ceremony for TS Jervis Bay on Friday 7 December. A fantastic day was had by all at the Berkshire District Drill and Piping competition. The unarmed squad were excellent - we have never seen them perform so well. Unfortunately, they were pipped to the post, but they will be a force to be reckoned with next year. The piping team did brilliantly and came out on top to win the trophy back from Maidenhead. Leading cadet Peter took first place individual and Cadet Zac surprised himself to take second place! For a team who only came together four weeks ago, we couldn’t be prouder. The marines put on a good performance and will also be going to the area. Well done for pulling it out of the bag! Well done to all! You have done the Unit proud and we could not be happier with all of your performances. 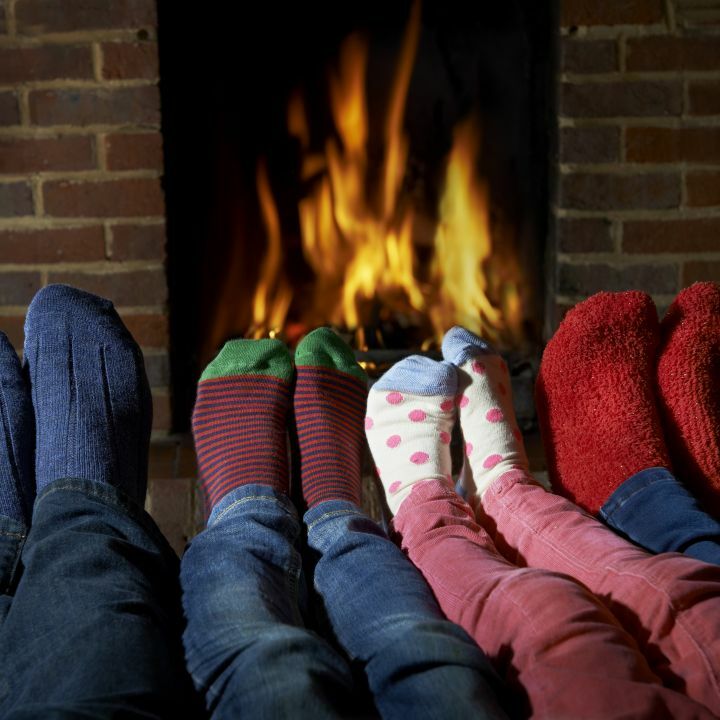 Feeling the cold? 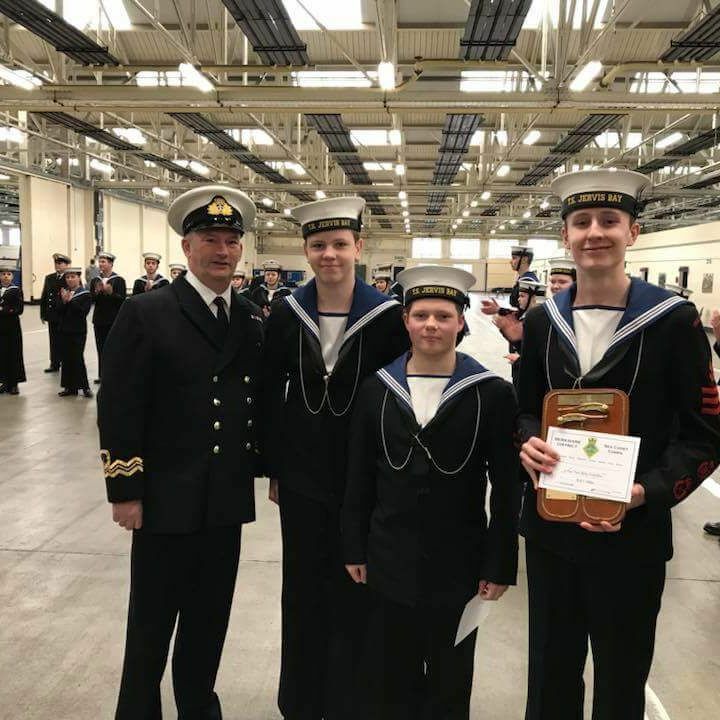 Reading Sea Cadet kindling is perfect for getting your fire started. Only £5 for a generous bag. Please email fundraising@readingseacadets.org.uk or text 07484 786 911 if you would like to order bags. We can drop them off at the barracks or deliver locally. Please spread the word to family, friends and neighbours! All proceeds are going to the roof fund.